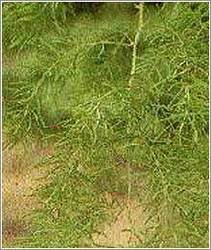 Uses : The roots are bitter, sweet, emollient, cooling, nervine, tonic, constipating, opthalimic, anobyne, . They are useful in nervous disorders, dyspepsia, tumours, scalding of urine, throat infections, tuberclosis, cough bronchitis and general debility. Roots are used externally to treat stiffness in the joints. The rhizome is a soothing tonic that acts mainly on the circulatory, digestive and respiratory system.